Many events in life cause significant emotional loss which puts people through the stages of grief. What happens when someone is unable to come to terms with a significant emotional loss? That is when Dawn Ford steps in. 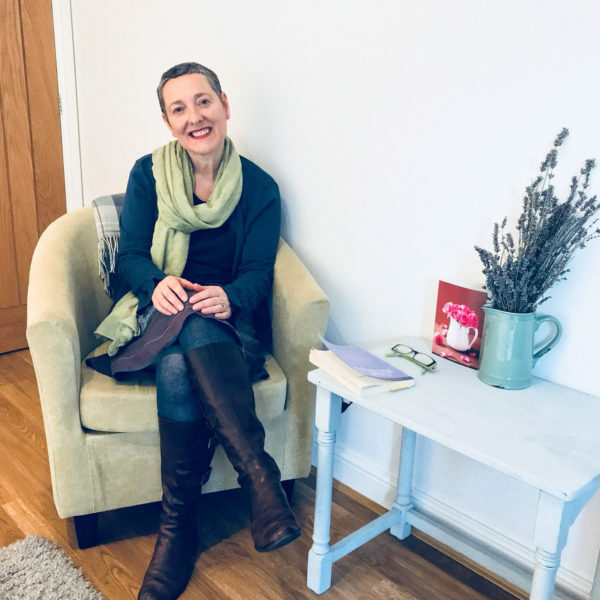 As a licensed Grief Recovery Specialist she has helped people struggling to move on following a significant emotional loss in their lives by supporting her clients on the Grief Recovery Method Programme. Holistic in its approach to treating all aspects of the individual dealing with grief, this supportive programme, the ‘Grief Recovery Method’, appeals to Dawn who follows the structure but tailors the delivery to make it as relevant and respectful as she can for each of her clients. The focus is on emotional connections as the client’s experiences of loss are shared beginning with early memories right through to present day.The client is required to do reflective work in order to resolve the feelings harboured from each loss. A programme handbook is used, alongside her teaching, that provides practical, mental, and emotional tools which can better equip the individual to handle future losses. Dawn found an advertisement for the Grief Recovery Method Programme online in September 2016. She instantly felt an emotional connection with the programme and booked her place on the course. 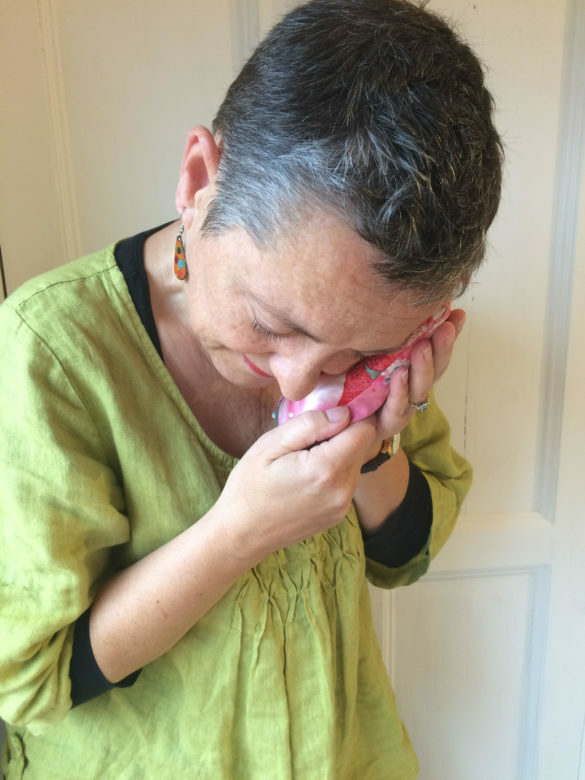 At that time, she had already been providing a bespoke keepsake service for a couple of years and was excited about the Grief Recovery Method training. She was keen to explore the two supportive services and combining them wherever she felt they could be appropriate or beneficial..
As a children’s bereavement volunteer Dawn helped out at a residential camp, where a dozen or more young children came together, all sharing the stories of their beloved ones who had died. On returning home she created her first keepsake – Dawn made drawings of a soft toy dog, which belonged to her son and her daughter’s first ever doll. Dawn then recreated these drawings out of her children’s favourite clothes that she had kept stored away for years. She felt liberated and at the same time knew that she had created something of real emotional and sentimental worth – a cherished keepsake for each of her children..
Training for the Educational and Wellbeing programme was over 4 days. The most emotional and intense four-day course Dawn had ever attended. . Initial doubts were present, but once training completed — Dawn’s approach to grief and emotional loss transformed forever. How Does Someone Know if Grief Counselling is Right for Them? The intensity of emotions experienced during grief are often unknown until someone goes through it. Dawn explains regarding emotions experienced during a grieving period, “I guess I would say there is no right or wrong way to feel, no right or wrong way to grieve. It is a powerful, earth-shattering emotional state and normal and natural. “When we love, and we lose — it hurts, and it hurts so much. Considering the valuable experience and insights Dawn has gained and how her knowledge benefits those dealing with grief, we asked if she ever considered publishing a book. She feels privileged to be on this supportive journey that has given her a greater awareness on emotional loss and grief. One day she would love to combine these insights with feedback from her clients and some of her own drawings into a book. At Heart In Diamond, we work with people who are currently experiencing grief. Our services allow people to send in cremated ashes or hair of a loved one and have the carbon extracted and then turned into a diamond. Clients choose from over 500 jewellery settings, and their customised memorial diamond jewellery is delivered to their doorstep. Effectively, they can turn their deceased loved one into diamonds. This black & white cushion has a photograph stitched on to it of her daughter Alice and her beloved late cat Arnie. Dawn made it from dear Arnie’s cat blanket. This keepsake cushion now resides on Alice’s bed.